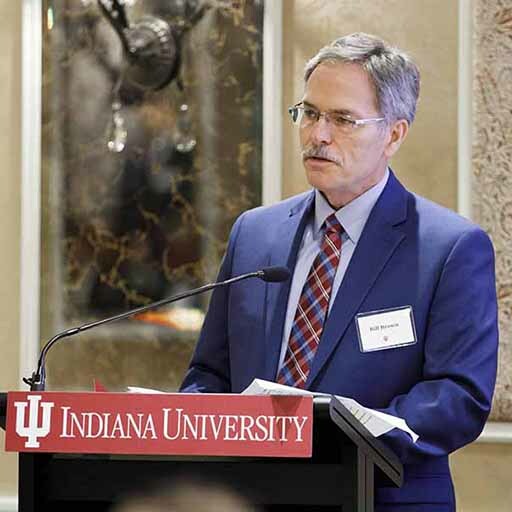 After 100 days of focused effort, the Center for Rural Engagement is organized, connected to internal and external partners, and collaborating with communities and other organizations across Southwest Central Indiana, known as the Indiana Uplands. The center’s mission, to improve Hoosier lives and communities, captivates people with a sense of purpose. The IU community is working with the people of the Uplands region to focus on the issues of greatest importance to rural Indiana. The center is convening local leaders and faculty to bring several initiatives in the areas of health, resilience, and quality of place to fruition. The campus launched IU Corps and the center connected to the IU Grand Challenges teams. We presented at national conferences and hosted a visiting delegation of ambassadors from around the world who were interested in learning more about the good work happening in rural Indiana. The pilot year of the Sustaining Hoosier Communities initiative came to a close in Lawrence County on June 6 as one of the largest programs of its kind in the nation that connected 14 community-identified challenges and opportunities with 16 IU Bloomington professors, 20 classes, and 550 students. That milestone was also the beginning of long-term engagement with Lawrence County. Year two of Sustaining Hoosier Communities commenced with planning in Orange County. Sustaining Hoosier Communities is one of many initiatives the center will roll out in the near future. We will be in touch soon about community health, aging in place, and arts offerings throughout the region. What we learn together here may be replicable and scalable elsewhere in Indiana and beyond. The Center for Rural Engagement is fully operational and engaged with the Indiana Uplands region, moving toward a brighter future for all rural Hoosiers.